The 20th edition of the Fantasia Film Festival will be presenting leading genre filmmaker Guillermo del Toro with its prestigious Cheval Noir Award, which del Toro will accept in person in his first-ever Montreal appearance. Del Toro, best known for such fantasy and horror classics as PAN'S LABYRINTH, THE DEVIL'S BACKBONE, CRONOS, CRIMSON PEAK, and the HELLBOY movies, will also deliver a Master Class at Fantasia. In addition, del Toro will host the Canadian premiere of Gilles Penso and Alexandre Poncet's CREATURE DESIGNERS: THE FRANKENSTEIN COMPLEX, a fascinating documentary on the history of movie monstermakers, in which he is featured prominently in. The Fantasia International Film Festival is proud to be presenting Director Takashi Miike, one of the most groundbreaking filmmakers of his generation, a Lifetime Achievement Award. No other filmmaker has left a mark on Fantasia’s first 20 years as he has. Since our screening of FUDOH: THE NEW GENERATION in 1997, which was the first time Miike's unique vision was shown in North America, no fewer than 29 of his films were showcased at the festival, including such modern classics as AUDITION, ICHI THE KILLER, and VISITOR Q. Miike’s work also opened Fantasia three times with YATTERMAN and North American premieres of the Cannes selections FOR LOVE'S SAKE and SHIELD OF STRAW. In addition to receiving his award, Takashi Miike will be hosting the North American Premiere of TERRA FORMARS, a sci-fi extravaganza where a team of misfits must fight humanoid cockroaches to colonize Mars, and AS THE GODS WILL, a surreal deathgame where Japanese traditional objects turn playground amusement into modern video-game blood baths. 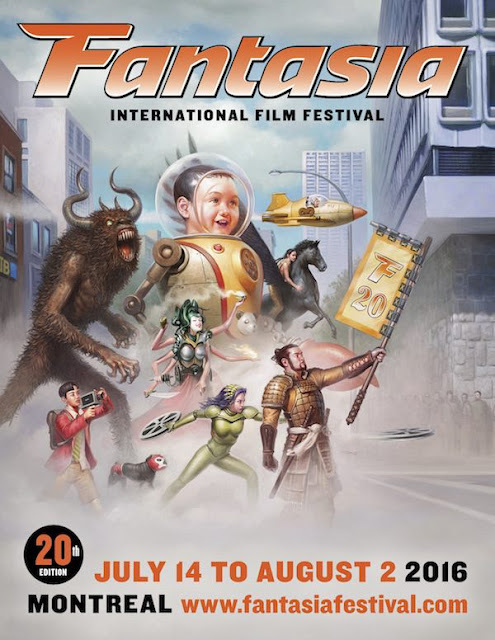 One year after hosting the International Premiere of the long awaited manga adaptation ASSASSINATION CLASSROOM, a Fantasia 2015 fan favourite, the festival will have the pleasure of screening the North American Premiere of ASSASSINATION CLASSROOM: GRADUATION, the conclusion of Director Eiichiro Hasumi's diptych. All the students from class 3-E are back to eliminate Koro Sensei before he destroys the planet, but unexpected revelations about his past will change the game and bring a whole new threat over the beloved characters of this ultimate crowd pleaser. The Korean capital's central subway station becomes a maze of terror in Yeon Sang-ho’s SEOUL STATION (Canadian Premiere), an electrifying, socially incisive and ultimately heart-wrenching animated zombie chiller from the acclaimed director behind THE KING OF PIGS (Satoshi Kon Award at Fantasia 2012), THE FAKE, and the Cannes 2016 sensation TRAIN TO BUSAN. Fantasia is proud to be unveiling the first Canadian showing of the astonishing Spanish feature PSYCHONAUTS, from BIRDBOY creators Alberto Vázquez and Pedro Rivero. A fraught, even frightening animated surrealistic fairy-tale blessed with beautiful handcrafted artwork that’s bound to leave viewers more than a hint haunted. Winner: Best Animated Feature, Stuttgart Film Festival 2016, Official Selection: Annecy 2016, Holland Animation Film Festival 2016.